- June 15th was Ride to the Sky day on Mount Washington. The motorcyclists have the auto road all to themselves and head up in droves, vroom vroom! The weather was perfect so I decided to hike up and check out the bikers driving up. 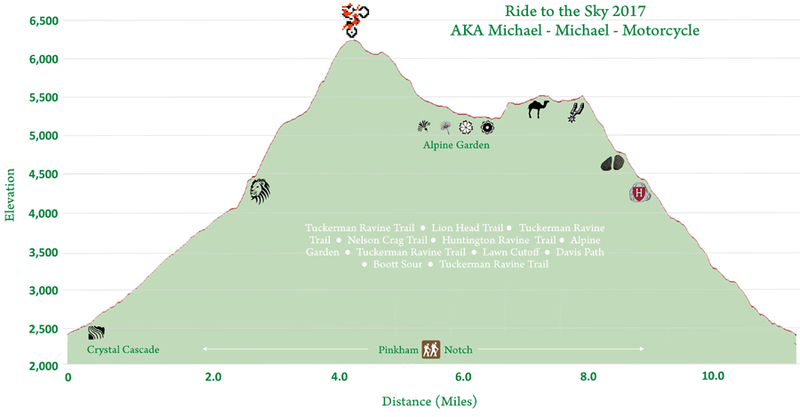 - With Tuckerman Ravine Trail being closed because of snow on the trail up the headwall, I ascended Lion Head Trail to the upper part of Tuckerman's to the summit. I started around 10:15AM and made it to the summit at 12PM, enjoying the mid 50's above treeline temperature with light winds Views were tremendous and it was a great hike up to the rock pile, I counted 57 hikers on my way up, not too bad considering the late start and the "walk in the park" weather. On the weekend or when summer vacation is in full force and I'd probably triple that number! - Once at the top I watched the bikers ride up and down, it was very busy at the summit, along with the bikers the Cog Railroad was running three trains at once, but everything seemed very well organized and was not as chaotic as I've seen it during mid-days on normal days. Hopefully the weather is this good on mini-cooper day so I can check that out too! - After spending a half hour at the summit I decided to head down Nelson Crag to the Alpine Garden to see the flowers blooming, unfortunately they have still not peeked yet, but it's only a matter of a few days before they do. There was one kind that was in full bloom, a white flower and they were all over the place, very tiny but very pretty. 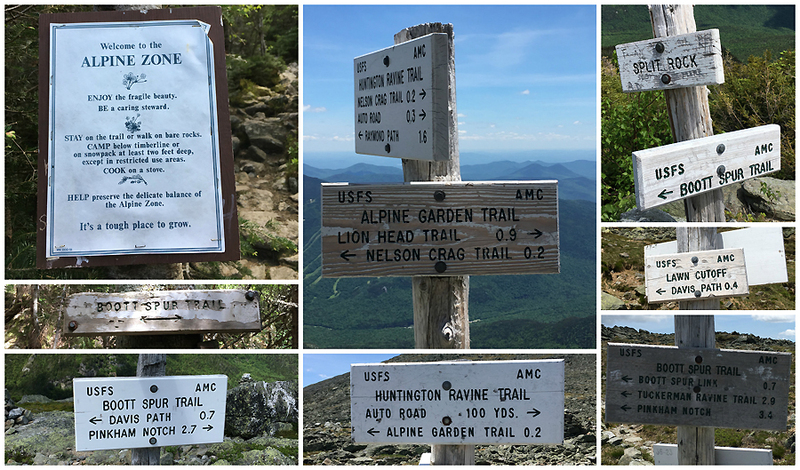 - After Alpine Garden I took the Lawn Cutoff over to Davis Path and headed down Boott Spur Trail. 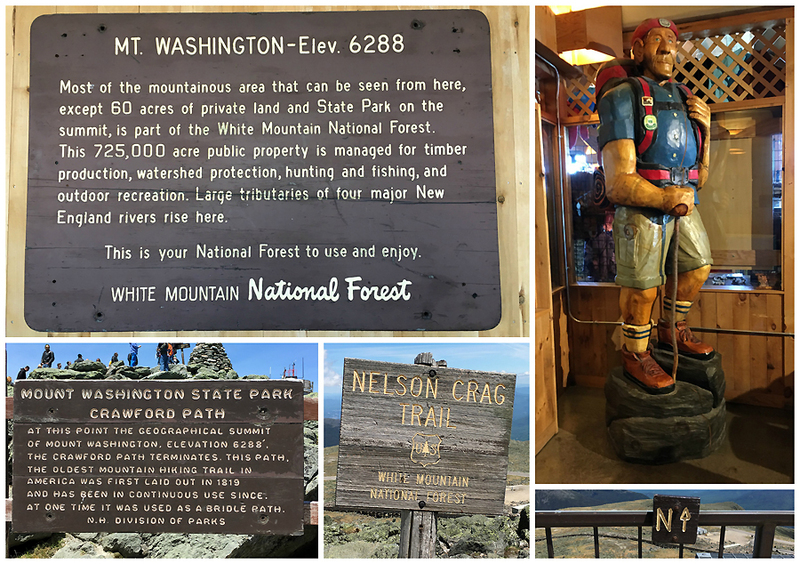 These two trails on perfect weather days should be on your high-priority hike list if you're on Mount Washington. There is a lot less traffic on both trails and the views are top notch, plus the cairns lining the trail are a thing of beauty. 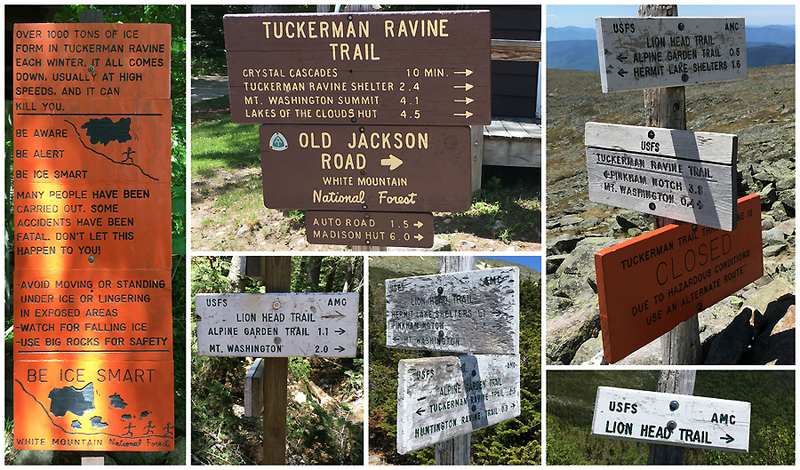 I saw a total of four people from Lawn Cutoff at Tuckerman Junction to the bottom of Boott Spur Trail, quite a difference from Lion Head Trail! - The Boott Spur Trail is pretty rugged and steep, and can beat your body up, but it's worth it for the views. The below treeline section tends to drag on though, and feels like you're stuck in a time warp, good news is the footing becomes more forgiving near the end. Breaking above treeline on the Lion Head Trail. Ride to the sky day! Hope you were able to get up there again and get to see some more flowers blooming than I did. I seem to always just miss the peak by a few days every year!! Another nice post and pictures. I agree Boott Spur views are great and traffic is minimal. I actually only saw one person after the junction of Tuckerman and Lawn Cutoff. It was amazing having that side of Washington basically to myself. Thanks, Matt! Sounds like you had a great hike, it's pretty cool how no matter how crowded the mountain can get, there are always certain trails you can hop on and see very few to no hikers for the most part!